London - Liverpool manager Jurgen Klopp was admitted to hospital on Wednesday following a health scare. 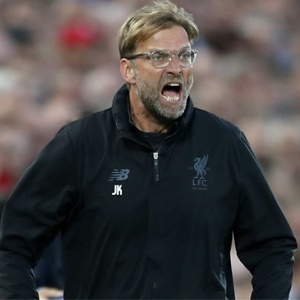 Liverpool did not say whether the former Borussia Dortmund coach, who is scheduled to take part in a pre-match press conference on Friday, will return to training or if he will be on the Anfield bench on Saturday. Should Klopp be absent this weekend it will be the second game he has missed for Liverpool due to ill health. He was hospitalised with appendicitis ahead of the Reds' 2-2 home draw with Sunderland in February 2016.